Problem Description The disease appears on three weeks old seedlings, which collapse and lie flat on the ground. 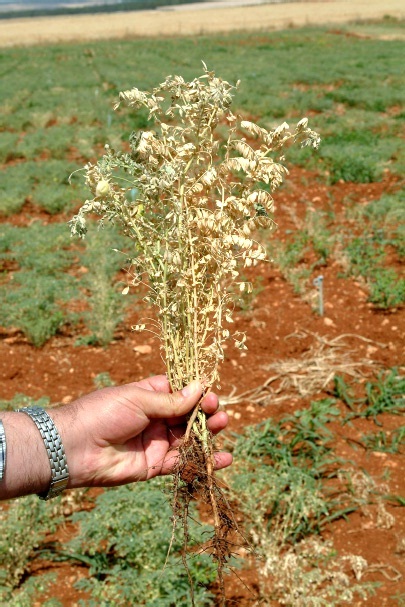 The disease appears on three weeks old seedlings, which collapse and lie flat on the ground. Older seedlings show drooping of leaves and dull green coloured, wither and finally dry up. The roots become dark coloured resulting in complete rotting. Some times only one side branch is affected resulting in partial wilting. Dark brown to black vascular discoloration is the most characteristic symptom.